By 1969, the former Austrian national team defender was already a known name in the Netherlands, having transformed mid-table battlers ADO Den Haag into a consistent top four side, as well as recording a historic 2-1 victory over Ajax and a certain Rinus Michels in the 1968 KNVB Beker. Having grown up and developed in the thick of Hugo Meisl’s Wunderteam, and with the experience of two World Cups, Happel introduced a tough but fluid style of play at ADO that was previously rare in the Dutch football scene, scrapping formations like the 4-2-4 for a 4-3-3, ironically using it to defeat Ajax. The next season, Happel’s future employers claimed a domestic double but the Feyenoord hierarchy felt that as they stepped into Europe, they needed a man in charge who possessed a stronger character than young coach Ben Peeters. They found the perfect fit in the enigmatic Austrian, a man who never spoke more than a handful of words at a time. That summer he made two key acquisitions in Ajax left-back Theo van Duivenbode – who Michels rejected as lacking the quality to beat top European opposition – and fellow Austrian, midfielder Franz Hasil from Schalke. Hasil admitted that the money in Germany was much better but “no one could say no” when Happel asked you personally to join him. Rinus Israël – Rinoes, as he was affectionately known – was only about Happel’s height himself at 1.78m, but in the centre of defence with Theo Laseroms, posed a presence as intimidating as Smaug defending his treasures on the Lonely Mountain. The fact that he was nicknamed ‘Iron Rinus’ was apt, indeed. The Amsterdam-born Israël was also Happel’s captain and first lieutenant, though he didn’t always consult his captain on team matters. 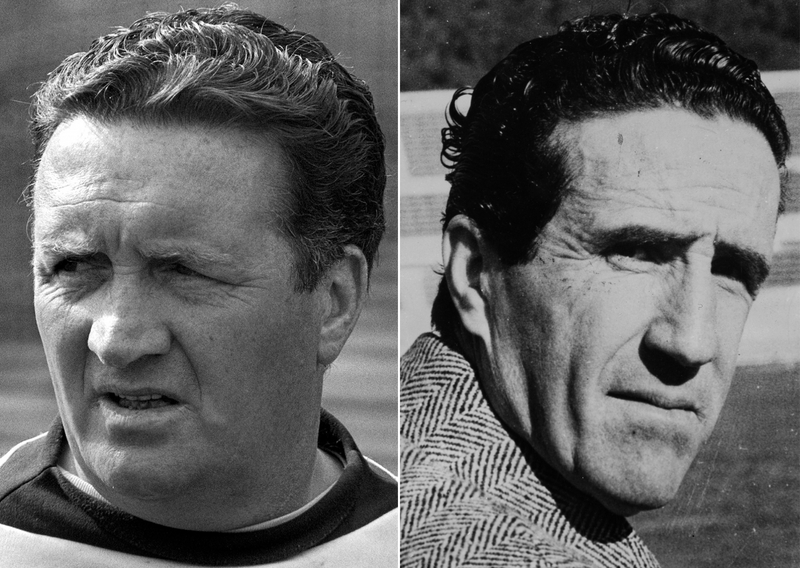 Apparently, Happel waited until right before the European Cup final against Jock Stein’s Celtic to consult Israël on starting second keeper, 36-year-old Eddy Pieters Graafland (another ex-Ajax player who came from a vociferous Ajax-supporting family), ahead of first-choice Eddy Treijtel. Coincidentally, it was Ajax who had helped Graafland come back into contention for a starting place in the final. Just weeks prior to the European showdown, Feyenoord had dominated Ajax, controlling the midfield area, and were leading 3-1 with 20 minutes to play. This was a crucial game in the history of Totaalvoetbal and Ajax; seeing his midfield in the 4-2-4 lose out so emphatically to the three-man midfield axis of Feyenoord was the last evidence Michels needed to change to 4-3-3 himself. The need for an extra midfielder led Michels to buy Johan Neeskens, who was pivotal in pioneering the pressing at Ajax. The rest is history. However, in hindsight, it was also a hugely significant game for Feyenoord – not in terms of a tactical breakthrough, but a selection decision in consideration of the final. Feyenoord were leading 3-1 with 70 minutes played but young keeper Treijtel made two blunders that allowed the Rotterdam club’s arch-rivals to scrape back and salvage a draw. Happel himself had displaced Pieters Graafland from the number one spot and captaincy when he took over in favour of Treijtel, but the 3-3 draw in De Klassieker made him rethink that choice. Understandably, when he was informed, Israël was taken aback and asked for time to ponder over it, but he was aware that Happel had already made his mind up. The veteran would start at the San Siro in what would be one of the final games of his career. A man of few words he was, but when Happel spoke, he was eloquent and powerful. When he arrived at Feyenoord, even the big players were intimidated and sweated over away trips to Ajax and Twente Enschede, but as both Wim van Hanegem and Israël said, his words gave them the self-confidence and swagger they required. He had a way with his players, with many of them calling Happel “the best manager in the world” and the best they had ever worked with. 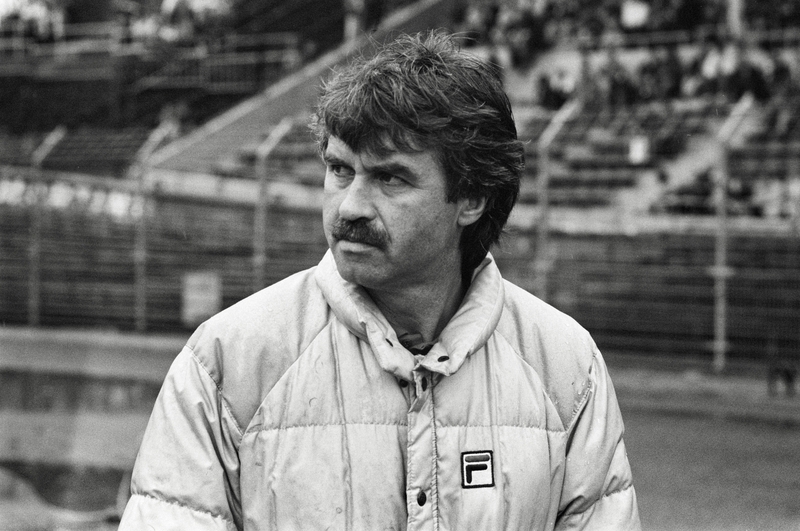 The second of Happel’s core triumvirate was Coen Moulijn, better known as Mr. Feyenoord. Rotterdam’s left-sided equivalent of Ajax’s Sjaak Swart, Moulijn is considered by some to be the best Dutch left-winger of all-time, even ahead of Piet Keizer. He was already nearing the end of his career when the Austrian arrived but the club legend reflected years later that he felt nothing for any coach in his career except Happel, who made him feel truly special. Moulijn, who now has the Feyenoord mascot named after him, was a romantic representation of Rotterdam and, by extension, Happel’s Feyenoord too; a working-class boy who could play beautiful football while still retaining functionality. This was what helped the Dutch side prevail against Celtic and claim Big Ears for the first time. Moulijn – who had been injured in training the previous day by Israël – had to not only work on the ball, but off it too. He was tasked with harassing Celtic full-back David Hay every time he got the ball and ensuring that the Scots’ biggest threat, Jimmy Johnstone, was isolated from the passage of play. On a larger scale, Feyenoord were set out by Happel to play much like they had done against Ajax since Celtic too played a 4-2-4 system. It was not the most attractive of affairs but it was a treat of a game in its own way; a strategic battle between two great tacticians. “Celtic has not lost to Feyenoord. I have lost to Happel,” sighed Stein after the match. He wasn’t wrong. While contemporary Michels’ philosophy and its implementation was based on keen observation and thorough study, Happel – though he studied opponents extensively – always trusted his own reserve of experience and his unbreakable intuition. At the time that Michels tinkered with the final touches of his legendary Ajax side, Happel was doing the exact same thing down in the port of Rotterdam. The Austrian perfected his defence, able to use a libero in Iron Rinus like Michels attempted in a 4-2-4 with Velibor Vasović during the previous seasons. More importantly, he was able to find the balance in midfield, which is ultimately where the final was won as Celtic couldn’t cope with the extra man in the middle. That man was Franz Hasil. The Austrian was one of the first to operate the then-revolutionary central attacking midfielder position in a 4-3-3 and his movement between the lines caused confusion across the Celtic team. Throughout the duration of his two seasons at Feyenoord, Hasil played an influential role in attack, thriving under Happel who was once quoted as saying he would rather win 5-4 than 1-0. However, key to the attacking experiments by Happel were the two behind Hasil. Wim Jansen, a strong and powerful defensive midfielder who protected his defence with devastating ferocity, was also technically adept at moving the ball. The other, the last and arguably most important of Happel’s holy trinity, Wim van Hanegem, is a man many Feyenoord fans consider to be the greatest Dutch player, even ahead of Johan Cruyff. A connoisseur of cards, cognac and cigarettes, Happel missed his Cafe Ritter in the Netherlands and instead found his solace in a bar near De Kuip stadium. Cigarette in one hand, coat draped over the other, it is said that the former World Cup bronze-medal winner in 1954 made his way every day to this bar where he had his own special seat and would discuss tactics and football with the other customers there. Van Hanegem, nicknamed de Kromme for the bend he would provide on his passes, was a player who would have featured heavily in these discussions. Happel, initially, wasn’t sold on Van Hanegem as a player but the Feyenoord hierarchy insisted that he could only have Hasil if he made sure the Dutchman would also feature. Having started on that uncertain note, Van Hanegem and Happel went on to have an extremely close bond. He was not the most skilful of players and had an unconventional way of running, but the Breskens-born midfielder could control spaces and dictate the tempo of games in an unparalleled way. The Dutch side of 1974 was pleasing on the eye but it really is hard to miss the presence of the bushy-haired midfielder, in equal parts bamboozling and bulldozing his way through a number of opponents; and then at the end of it all, always come up with a perfectly weighted, pin-point pass. He possessed everything that people expect of a central midfielder today and above all else, incredible concentration. He should be one of the first names to pop up when we look back at football’s best midfielders but that’s another story. Happel recognised the player he had at his disposal. Hasil once said that what made the Austrian unique was that he played the best he had in each position but also managed to get the best out of them; this is epitomised by Van Hanegem. In Feyenoord’s two encounters against AC Milan en route to their European Cup final, it was understood that Van Hanegem and Jansen had to mark Giovanni Lodetti and Gianni Rivera out of the game. Interestingly, he didn’t pit the strength of Jansen against that of Lodetti, asking him to track Rivera instead. It surprised Van Hanegem since he was not an athletic midfielder who could press Lodetti but recognised that Jansen’s pressing had run Rivera ragged and the regista was unable to affect play. Then, Happel instructed Van Hanegem to attack the right side of Angelo Sormani since he was a player who wouldn’t chase back if he is passed and always held his width. It worked like a charm and Feyenoord could effectively do what their Amsterdam counterparts couldn’t in not only holding Milan but beating them. That was fulfilled when Happel came across this half-blind young Dutchman, who possessed the same stubbornly resilient and obstinate nature as himself – one of the “terrible type” as Argauer put it. Every time someone pole vaulted above the rules, Happel would impose fines – but nothing worked with Wim. Incidents like that can ruin relationships and yet, right till the very end, Van Hanegem and Happel had a father-son-like relationship. Some suggest it was driven by the fact that both Happel and Van Hanegem were left scarred by the Second World War; Wim’s father died in the bombing of Breskens, trying to save a young boy, while Happel had to serve on the Eastern Front for the Hitlerjugend. Their broken souls somehow found common ground in that they had both been significantly shaped by the war. They might not be as synonymous as Michels and Cruyff but there have not been many relationships more genuine than Happels-Van Hanegem in football’s history. 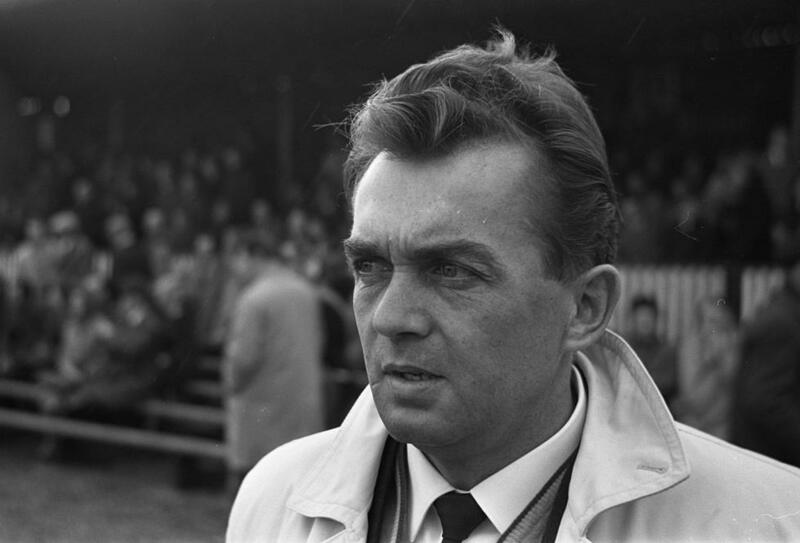 Ernst Happel Jr. noted that despite all their run-ins, Van Hanegem “bawled like a puppy” at his father’s funeral. Now, when he looks back and calls Happel not only the best he’s played for, but the best manager in history, there might be just the faintest patina of remorse in Van Hanegem’s voice, that perhaps he should have cherished this forever-frowning man, who spoke in a garbled mix of Viennese and Dutch, a bit more. The issue with having a mindblowing first season in any tenure is the pressure of having to live up to it. Perhaps that is why Michels departed after the first European Cup victory with Ajax. Happel went on to win the Intercontinental Cup – a great experience for him, seeing the system of Estudiantes first hand – and the Eredivisie title in 1970/71 when Feyenoord and Ajax merely swapped trophies. The two seasons after that, however, were barren as Ajax swept the plate clean. More importantly, Feyenoord had to deal with losing striker Ove Kindvall and never replaced him adequately. Van Hanegem noted that Happel was never afraid of anyone, players or executives, but with the internal strife building up, Happel felt the need to move away from De Kuip. In his honour, the Ernst-Happel-Stadion may now stand in Austria but it is still the waterlogged, low-lying, reclaimed shores of the Netherlands where he is hailed greatest and missed most. A street opposite De Kuip was named after him in 1997. Eight years later, Ernst Jr. – a spitting image of his father, cigarette and all – unveiled a bust of his father, which stands proudly outside De Kuip now. Did Happel invent Total Football? That is a question that will never receive a conclusive answer. Did Happel, however, play a crucial role in its development? That is unquestionable. He brought the Austrian philosophy, marrying it with the Dutch way of playing, inculcating the ideas of an organised pressing system and the role of a third midfielder who played between the forward line and the other two midfielders. The significance of Happel’s stint at Feyenoord in the history of Dutch football cannot be understated. Sunshine starts to pour in through the large windows of Cafe Ritter in Vienna. Having just concluded his letter, the man takes another puff out of his Belga cigarette and finishes the remainder of his cognac – both of which he enjoyed but also used as an extracorporeal coping mechanism in order to maintain the calm demeanour in front his players; to maintain that set gaze, that pursed frown. Both of his lifelong vices, the cognac and the cigarettes, would slowly cause the cells in his body to proliferate and bring about a premature end to his life, aged 66, 23 years into the future. As an icon, a legend, for decades. “Your Ernst Happel.” Their own Ernst Happel.